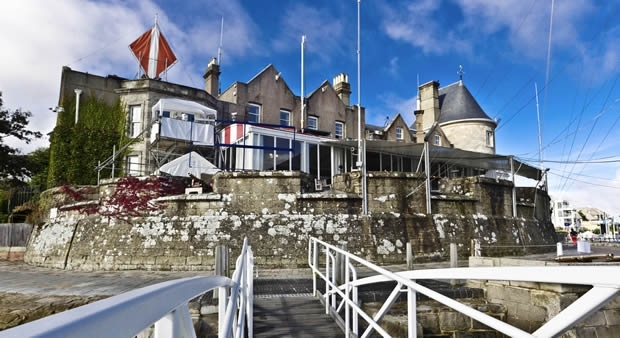 The promise of a spectacle of timeless classic combined with cutting edge modern is emerging as entries come in for the Royal Yacht Squadron’s Bicentenary Regatta to be held in the last week of July. Three J-Class Yachts - Velsheda, Ranger and Lionheart - will line up alongside other historic legends including the 48ft Tomahawk, built in 1938 and the 52ft Dorade, built in 1929, both Sparkman and Stephens designs. From the magnificent 160ft schooner Eleonora to the two 8 metres Helen and Enchantement launched in 1936 and 1923 respectively, the event has been a magnet for the most competitive classics from Europe and beyond. Several, including Dorade herself, are racing across the Atlantic from Newport, Rhode Island, to take part in this Royal Yacht Squadron’s 200 years celebration. The event is set to be a mecca for grand prix yachts too. Entries to date include the 94ft Frers-designed sloop Bristolian, the Mini-Maxi Jethou and many well known names in the IRC racing including Ker 46 Tonnerre of Breskens, the Elan 40 Flair, the TP 52 Gladiator and Grand Soleil 43 Quokka. The Swan class will be represented too – entries currently include the Swan 57 Noonmark VI, which will also be taking part in the Transatlantic Race, and the Swan 44 Rosy Pelican. Several clubs from around the world, including one from each of the east and west coast USA, three from Europe, and the Royal Hong Kong Yacht Club have already paid their entry fees for the Level Rating Class, whose teams will race in chartered Beneteau First 40s. More are expected to follow. The Royal Yacht Squadron will play host to the five day event, being held over 25-31 July, which includes daily inshore racing and a race around the Isle of Wight clockwise.